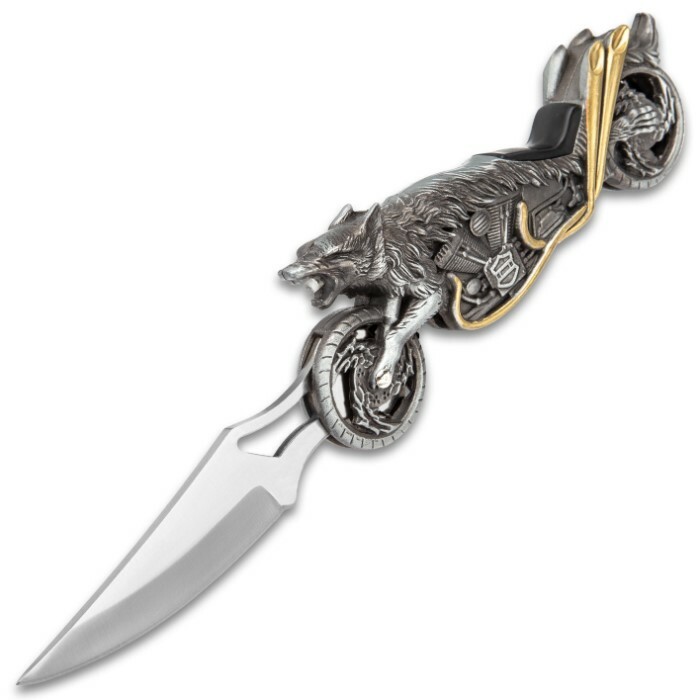 Raging Wolf Motorcycle Pocket Knife With LED - Stainless Steel Blade, Sculpted Cast Metal Handle, Lockback - Length 8 3/5” | BUDK.com - Knives & Swords At The Lowest Prices! 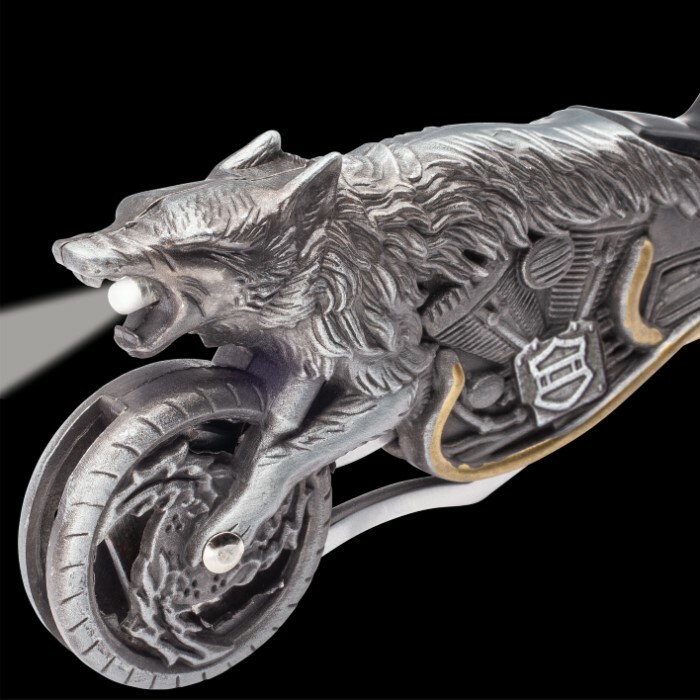 It’s “howl on wheels”! 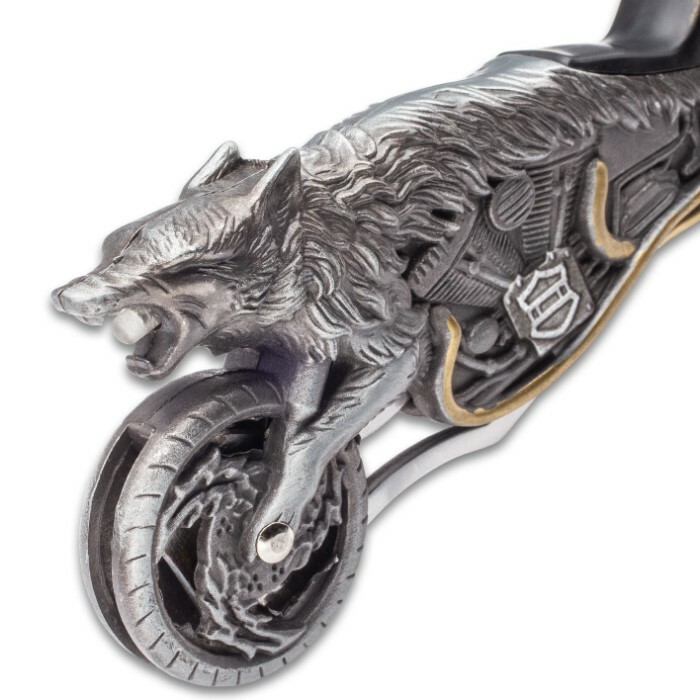 The Raging Wolf Motorcycle Pocket Knife, with its intricately sculpted wolf and motorcycle handle, is a striking piece of art perfect for display or everyday carry. 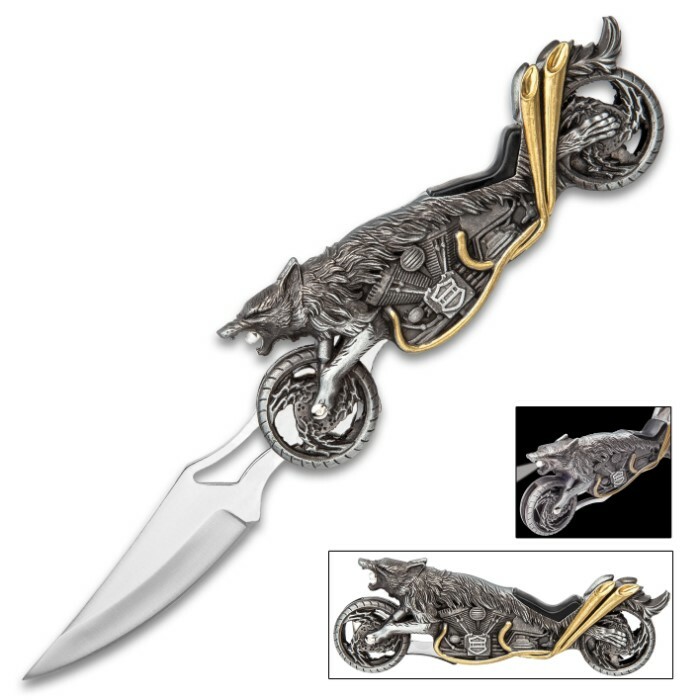 The pewter-colored sculpted, cast metal handle has gold-colored accents and it features a bright LED light. The lockback pocket knife has a keenly sharp, 2 7/10” stainless steel blade, which can be quickly accessed with assisted opening. 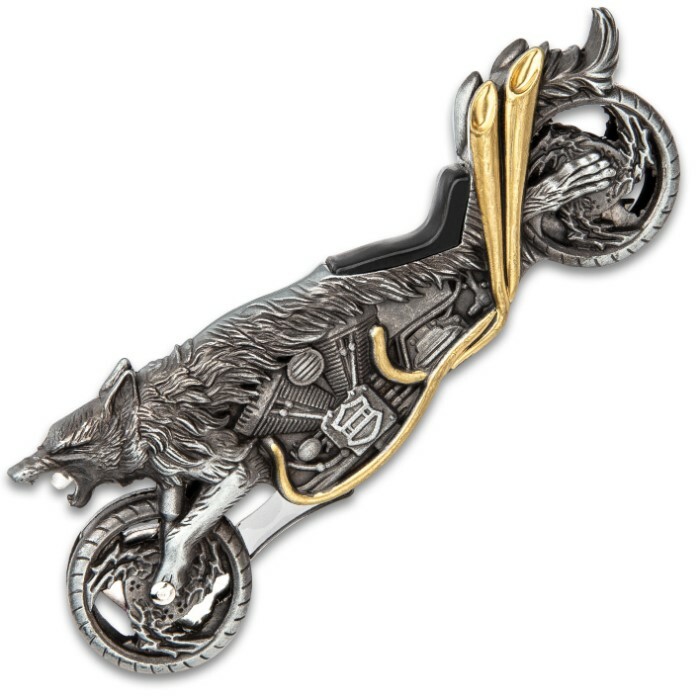 The 8 3/4” overall pocket knife comes in an attractive gift box that features colorful wolf artwork on the inside of the lid.